Tsvangirai, who died of colon cancer in a South African hospital on February 14, was buried at his rural home in Humanikwa village, Buhera on February 20, where thousands of people from across the globe came to pay their last respects. The former mine worker who went on to become Secretary General of the ZCTU, was assigned by the labour body to lead the newly launched opposition party in 1999 after a successful People’s Convention held in the dormitory city of Chitungwiza to shape the country’s political future. 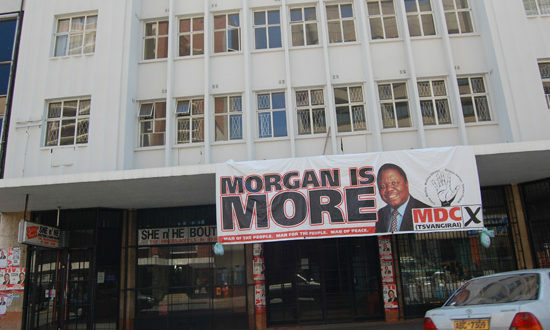 Tsvangirai, who was a victim of government sponsored police brutality during his time both as the ZCTU leader and President of the biggest opposition party in the country, had to boycott the run-off election citing the safety of his supporters after thousands had been killed in the run up to the plebiscite. But to recognize a man they loved and respected, the MDC-T National Standing Committee met in Harare Thursday and agreed they should honour Tsvangirai by naming Harvest House after him. “That Harvest House is to be called Morgan Richard Tsvangirai in honour of the late president after consultation with the national members,” read resolution number ten of the meeting. A member of the National Executive Committee who spoke on condition of anonymity said the move was a done deal as the whole national executive was in agreement.